I attended a Christian Men’s conference where a moving sermon was given on today’s passage from Luke. Following the message, many of the men were inspired to become great servants. Their response resulted in a comical outcome. The gathering was excused for a lunch break. Immediately, many at the exits began insisting that others exit ahead of them — others who may have been hungrier or in a bigger hurry for lunch. This modest servant-like regard for others resulted in log jams at all the exits, as very few were able to get by all those who were excusing others while standing in and clogging up the exit ramps. Nevertheless, their hearts expressed an obvious embrace for Jesus’ teachings about serving others. Jesus demonstrated the sense of servant-hood for us to emulate. Our efforts are sorely needed in areas where too few are focused — upon the sick, the handicapped, the hungry, the poor and homeless, the orphaned and widowed, and many who are isolated and alone. Someone is relying on your spirit of servant-hood today. Reach out to him or her — and bring Jesus with you. 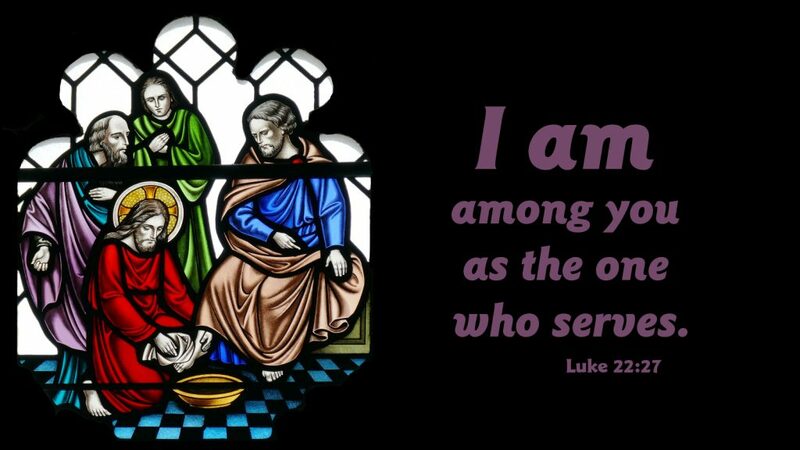 Prayer: Good Shepherd, help us to recognize ways we can be servants to others, mobilizing us to faithfully serve your greater glory. Amen.